Need to Reboot and Recharge Your New Year's Resolution? As 2018 approaches, you might be considering some New Year’s resolutions. This year will be different, right? If you’re feeling like you’ve lost focus, you’re not alone. Getting stuck in a resolution rut is common. In fact, data shows that only about 9 percent of people feel that they have been successful in keeping their New Year’s resolutions. New Year’s resolutions come in many forms. For some of us, it’s to save more money or be more organized, but health-related goals dominate the category. 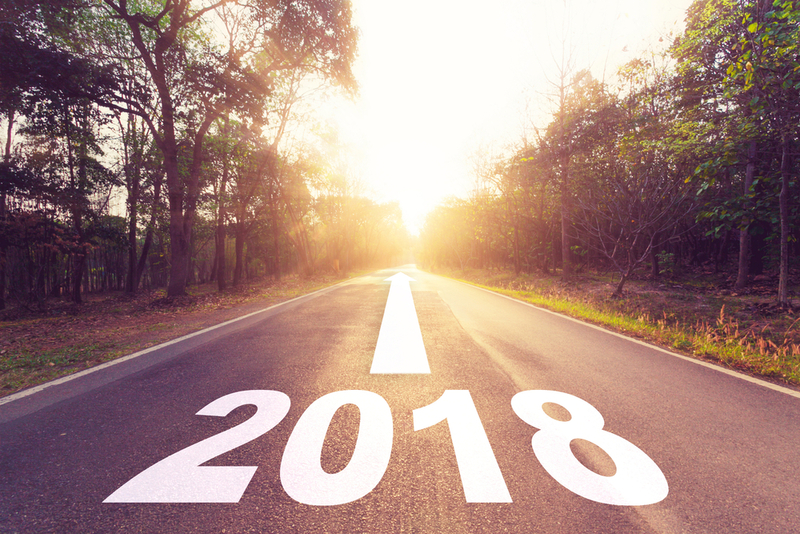 A recent Marist Poll suggests that ‘Being a Better Person & Weight Loss’ top 2018 New Year’s Resolutions. The Marist College Institute for Public Opinion reports that 56% of U.S. residents are not likely to keep new years resolutions, but 44% are. These proportions are identical to those reported last year. Don’t set the bar too high. Lofty, ambitious goals are great, but big changes don’t happen overnight. If a resolution feels unattainable, it will be difficult to keep. Don’t take on your resolutions alone. People often make New Year’s resolutions to change things they are self-conscious about, so it’s understandable they want to keep resolutions secret. But taking on resolutions alone isn’t always the best idea if you’re serious about making a change. Never give up! Stay the course, even if you don’t see results immediately. People often get discouraged and give up when they don’t see progress right away. But it’s the little wins along the way that take you to your goal. Make time! Many have trouble finding the time. Resolutions are often about starting anew. If that something new is not something that fit into your schedule before, it can be difficult to find time for it now. When life inevitably gets busy, resolutions are often the first things to go. If you’re sleeping in past that gym alarm or haven’t stuck to that plan to give up soda, it’s OK. Instead of feeling discouraged, take a moment to evaluate your resolutions and use these tips to get past your resolution roadblocks. Be realistic. Think about how you are tracking your goal. Is the original goal still realistic? How bad do you really want it? Think about what you can do to update your resolution and make it more attainable for you. If you committed to hitting the gym seven days a week, try something that’s more realistic for you. Maybe that’s a brisk walk after dinner instead. Build a support system. Training for a 5K or resisting the doughnuts in your office can be a lot easier when you have people to motive you and hold you accountable. That support can also make achieving your goal more enjoyable. Waking up at 5 a.m. to go to a workout class is a lot more fun when you know your friends will be there sweating it out with you. And when you feel like quitting, your support system can help remind you why you started in the first place. Break it up. You know where you want to be by the end of 2018, and that’s great. But what about by the end of March? How about by the end of the summer? Start setting weekly, monthly or seasonal goals for yourself. This will help you stay accountable throughout the year and turn that distant finish line into mile markers of success. Think about how great it will feel to celebrate all that success on New Year’s Eve. Be creative. If you feel you don’t have the time, energy or resources to keep up with your goal, do some creative problem-solving. Create a workout routine that is flexible on your schedule. Try exercising a little bit throughout the day instead of attempting one long gym session. Or get your kids involved in the kitchen to help you prepare healthy meals. Resolutions don’t have to add more stress to your calendar. Health and wellness goals don’t come overnight, so don’t get down on yourself if your resolution is harder to achieve than you thought. Remember to take a moment to celebrate what you have accomplished. And if you need some inspiration, check out Candice Williams’ story or Maggie Brown’s weight loss journey.